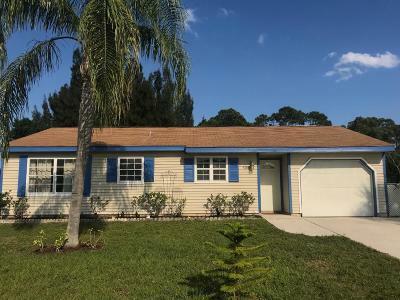 Spacious Port St. Lucie home in a great location east of U.S. 1 and close to shopping, restaurants, schools and beaches. Don't miss this opportunity to own at a great price in a great area. 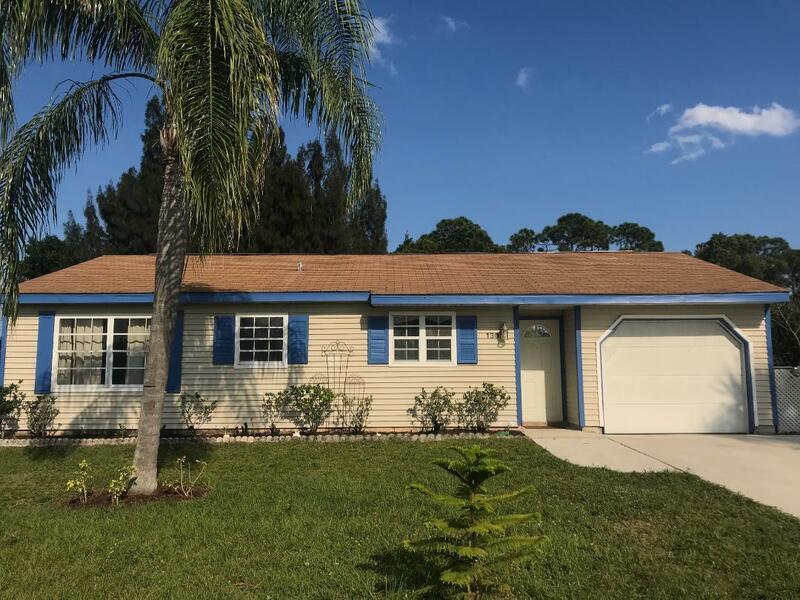 This 2 bedroom 2 bath home has a den that can easily be used as a third bedroom. It also has its own separate entrance. NEW carpet in all bedrooms. The main living areas, kitchen, dining and bathrooms are all ceramic tile. The backyard is fenced and backs up to greenbelt. Greenbelt also to the north side of house. Lots of privacy with only one neighbor to the south. Extra large lot which is great for those with an R.V. or boat.Water heater and A/C replaced in 2017.